“So You Think You Can Dance” finalists Tadd and Caitlynn talk about the tour. Finalists from Season 8’s “So You Think you can Dance” tell us about the tour. Sharon joins us in studio to get us caught up on all our celebrity news of who is moving onto the finale of “So You Think You Can Dance” and talks about Pia Toscano’s peformance on the show. 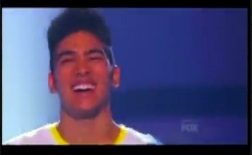 Local dancers support Utah “So You Think You Can Dance” finalist Tadd Gadduang. Castle High School graduate and “So You Think You Can Dance” alum Mark Kanemura talks about traveling the world with Gaga and coming full circle on the “So You Think You Can Dance” stage. The top eight dancers on “So You Think You Can Dance” competed Wednesday night in front of an exciting panel of judges that included Lady Gaga. 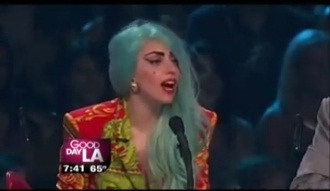 Jane Yamamoto was there live and has more on the performances and Gaga’s tribute to the late Amy Winehouse. There was a big elimination on Thursday’s “So You Think You Can Dance” – Both Ryan Ramirez and Alexander Fost were sent home and now only 10 contestants remain. Jane Yamamoto was there live, and as she report all the talk was about the show’s Emmy nominations. Review of “So you think you can Dance” for July 14. Nigel Lythgoe is the creator and executive producer of FOX’s hit show “So You Think You Can Dance.” On Thursday Nigel joined us live on GDLA and gave us his take on this season’s SYTYCD… He also showed us a few of his dance moves. 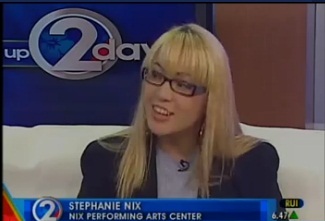 Stephanie Nix of the Nix Performaing Arts Centre joins wake up today to talk about this seasons contestants on “So You Think You Can Dance”.